Most Disney dresses you find are for kids but what about the big Disney kid in all of us? What if we want to dress up in our Disney Fandom. Fear not, I have searched the Internet and found these 5 great Disney dresses just for grown ups. I love this dress made out of the Disney Magic Kingdom park map. The creator of this dress, RainbowRules, has a dress for each park (Epcot, Hollywood Studios, Animal Kingdom and Disneyland) so make sure you check out their rest of their store. Looking for something simple but simply perfect? 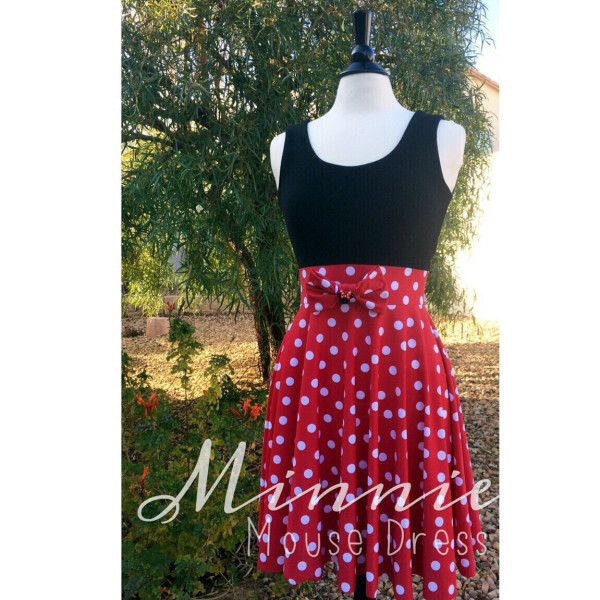 Check out this super cute Minnie Mouse inspired dress from TheGypsyGeek. LynnsRags has some wonderful Disney themed dresses for grown ups including this Little Mermaid dress. 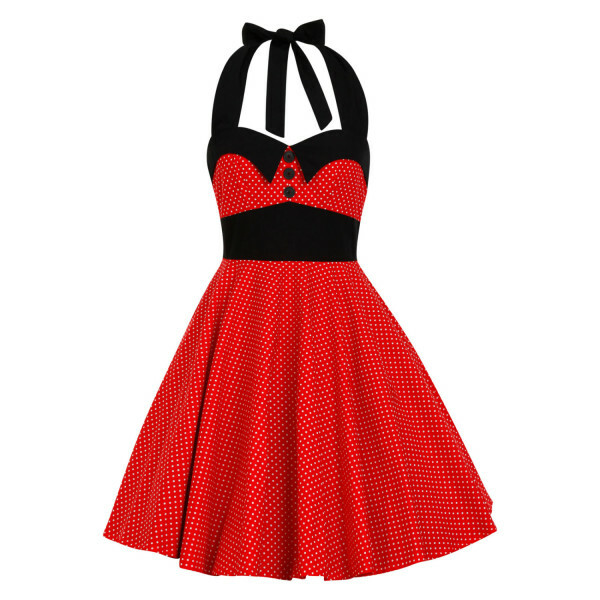 What happens when you mix Minnie Mouse and the Rockabilly era. You get this fantastic Disney inspired dress from LadyMyraClothing. 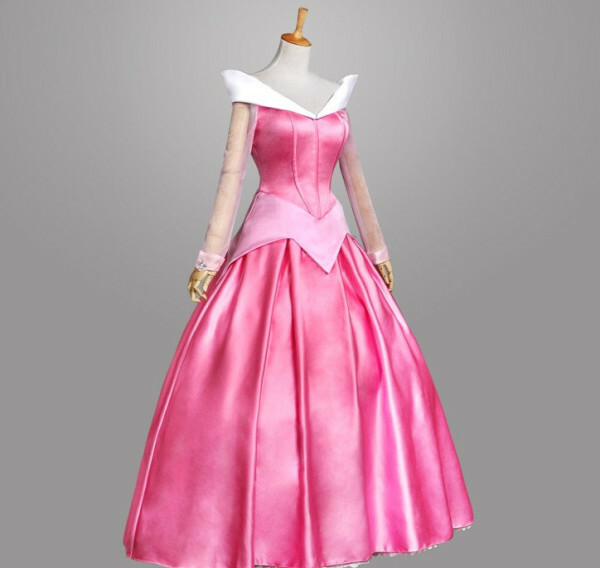 If you want to go full on princess why not look at a dress from MyshopW. Beautiful Disney princess dresses for grown ups. 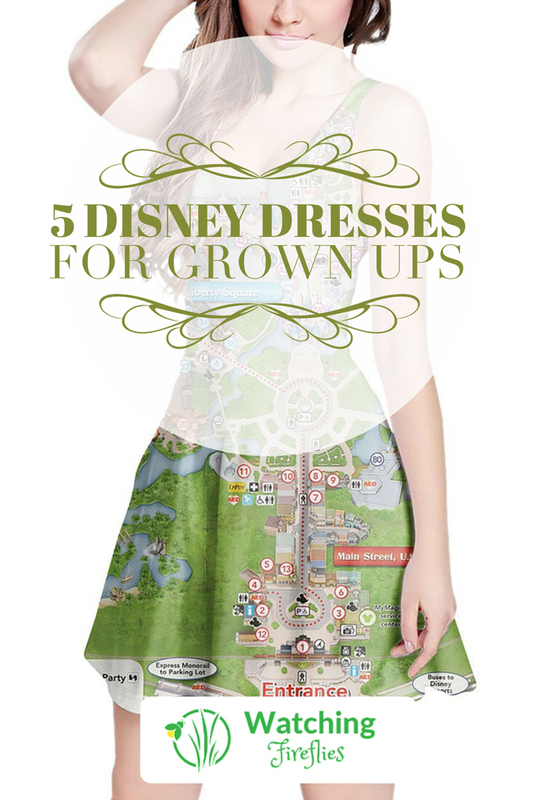 Have you seen another other grown up Disney dresses you think should be included here? Let us know in the comments below. These are actually cute, I wasn’t sure initially that I would like them but the minnie one is adorable! I got 7 dresses of rainbowes rules.. love it.. You can also let made a dress, you send pictures and she made it for you.. you pay a little bit more.. but then you got youre own dress..